“En esta sección, se presentan comentarios, experiencias, datos interesantes e información general que agregue valor al contenido de nuestra Web. Asamblea General de la Asociación Latinoamericana de la Industria Nacional de Agroquímicos, Uruguay febrero de 2011 – Opiniones de expertos. Román Macaya has become the preeminent voice for post-patent crop protection around the world. fuente original para leer toda la noticia: http://www.farmchemicalsinternational.com/magazine/?storyid=2416Macaya is a perennial speaker at the FCI Trade Summit. Here he gives his analysis on various Latin America markets. His flair for public speaking has catapulted him into the national spotlight in Costa Rica and afforded him fantastic international opportunities as well. It has also made him one of the busiest people in the crop protection industry. In the first six weeks of 2010, Román Macaya was elected to lead a global agrochemical association, campaigned for the presidency of Costa Rica, prepared to host Latin America Agrochemical Association’s (ALINA) annual meeting, and celebrated the birth of his fourth child, all while helping to direct Agroquimica Industrial RIMAC, the company where he is a shareholder and vice president. Just listening to Macaya’s dizzying schedule would tire out most people (he took 15 international trips in 2009) but he seems to handle it in graceful stride because he firmly believes that all his endeavors are important – to his country, to the agrochemical industry, and to his family. Case in point: After a lifetime of complaining about government policies, as many of us do, Macaya decided he was going to either give up his altruistic rants or he was going to do something to affect change in his home country. His decision was to run for president of Costa Rica. Although Macaya had never sought elected office before, he had campaigned against the Central American Free Trade Agreement (CAFTA), a comprehensive trade agreement among Costa Rica, the Dominican Republic, El Salvador, Guatemala, Honduras, Nicaragua and the US. He began to examine its impact on crop protection patents and soon discovered it would be more detrimental to the pharmaceutical industry, a blow that could encumber Costa Rica’s universal healthcare system. He began speaking out on CAFTA, eventually giving about 200 presentations throughout the country and participating in televised debates. The issue polarized the country and drove a wedge through the electorate. CAFTA eventually was passed by 3.5%. Although Macaya campaigned on the losing side, it bolstered his reputation and his confidence enough to seek the Citizen Action Party’s bid for the presidency. He didn’t win, but he became a party spokesman and campaigned on behalf of the party candidate. The incumbent National Libertarian Party ultimately prevailed in the February elections, but Macaya garnered a certain political savvy and behind-the-scenes understanding that can only come from the diversity of his political opportunities. “To be a good lobbyist, it sure helps to understand politics and to have a first-hand view of what goes through a politician’s mind and the pressures that they are under,” he says. That first-hand perspective, along with his previous experience as president of ALINA, make him exceptionally qualified to lead what has become the preeminent global advocate for post-patent crop protection companies, AgroCare. Launched in 2008, AgroCare is a global coalition of post-patent producers, founded by ALINA, a federation of 27 countries; the European Crop Care Association (ECCA), which represents companies in 11 countries; the Pesticides Manufacturers & Formulators Association of India (PMFAI); and the China Crop Protection Industry Association, which has more than 450 members who produce about 90% of all pesticides made in China. 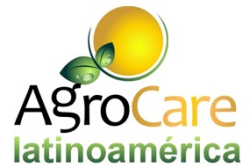 AgroCare lobbies international organizations that make decisions about public health and food safety, including the UN Food and Agriculture Organization, the World Health Organization and the World Trade Association, as well as meetings that discuss international regulatory standards, environmental impact and residue limits. The formal seat at the table was important, but it wasn’t entirely new, as ECCA and ALINA have already been welcomed at international meetings. But perhaps most valuable function of AgroCare now is its informal presence and its lobbying opportunities for the generic industry. Lobbying efforts take place behind the scenes of the formal meetings to try to raise intellectual property laws and regulations as high as possible to keep generics out of the market using legal means, Macaya says. Then, once those legal instruments are no longer in play and generics have options to enter the market, then there is an additional lobbying effort to make the registration of these products as difficult as possible. AgroCare tries to use technical data and scientific evidence to validate the propriety and safety of generics. Now that the presidential election in Costa Rica is over and his past-presidency of ALINA is slowing to a less rigorous pace, Macaya will be spending more time traveling with AgroCare. First on his list is to continue discussions with international figures devising standards for the FAO/WHO Joint Meeting on Pesticide Management. After a series of meetings beginning in 2007, that standard still has not been finalized but is moving along, with input from CropLife International and AgroCare alike. Macaya also plans to embark on a good-will campaign with the members of AgroCare’s founding entities to court opinions and give updates about what is happening in international regulatory environments. The pesticide registration process is trending toward the adoption of a system based on equivalence for the approval of generics. Pesticide registration systems must not only ensure the quality of approved crop protection products and their reasonable safety regarding human health, the environment and crops, they must also be efficient in approving generics. Due to a decline in R&D productivity in the generation of research companies during the last two decades, along with extensive patent expirations, registration authorities are likely to receive many times more submissions for the approval of generics than for new chemical entities. There is a global trend in national pesticide registration systems toward the adoption of registration systems based on equivalence for the approval of generic pesticides. Such systems are historically derived from the US Environmental Protection Agency’s procedure for registering equivalent (me too) generic pesticides based on substantial similarity of the Technical Grade Active Ingredient (TGAI). Such a system was based on the valid premise that products that are “substantially similar” in their chemical composition will be similar in their toxicity, eco-toxicity and field efficacy. Under such a system, generics submit an abbreviated information package related to the chemical composition of the TGAI in order to demonstrate their equivalence to a product on the market. In 1999, the UN Food and Agriculture Organization (FAO) published the “Manual on Development and Use of FAO Specifications for Plant Protection Products” (later jointly published with the World Trade Organization), which maps the process of determining the equivalence of TGAIs from different sources. While the FAO/WHO (World Health Organization) Manual goes into some detail into how to determine the equivalence between two TGAIs, it is not a registration guideline, per se. Registration authorities must make decisions regarding specific issues in the implementation of the system. Some critical issues will determine whether or not the registration of generic agrochemicals will be possible, and thus have major implications on agricultural production costs because competition of generic agrochemicals is the only way to break monopolies held predominantly by five large multinational corporations. Competition ultimately will bring down prices paid by farmers and consumers. beneficio y de decisiones para la gestión de riesgos. Si desea enviar un comentario, favor diligenciar el formulario adjunto abajo. su comentario sera moderado y nos reservamos el derecho de incluirlo en el contenido de este sitio web.